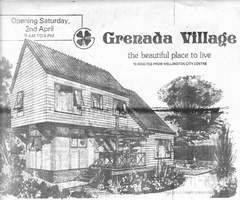 The original development and concepts of Grenada Village are very interesting. 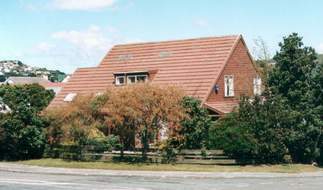 In the late 1960's, land developers considered that there were no large blocks of land in the Wellington area suitable for subdivision on a major scale, other than the northern suburbs. Any volume of land not already developed was, at the time, regarded as not being suitable or desirable for general housing because of Wellington's notorious weather conditions. Other sites were very exposed, and it was considered that there would be a reluctance by new homeowners to purchase properties that would be subject to these conditions. In the mid 1970's a huge new housing development was proposed that would ultimately extend over 1700 acres (700 hectares) and cover all of the farmland on the eastern side of the motorway between Paparangi (in the south) to well north of Tawa. This was referred to as being Wellington's new 'town'. The concept was to be in three separate developments. 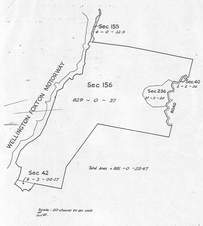 The 881 acre southern section was purchased by Grenada Estates and covered all the land running north from Paparangi to just south of Takapu Road branching out at the northern eastern end to what is now parts of Horokiwi. 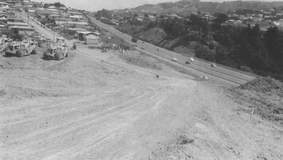 The central section of 400 acres situated from Takapu Rd, east of the Tawa interchange, was to be developed by Glendene Developments Ltd and named Glendene, (now referred to as Grenada North). The most northern 400 acres lying to the north and east of Tawa, was to be developed by the Green Acres Syndicate. Greenacres / Linden in the north, and from two interchanges that would directly connect with the northern motorway. The 900 acre southern development by Grenada Estates began in 1976 and homes were built on the first 258 lots (100 acres) and named Grenada Village. This particular development was to provide modern, up-market homes for at least 18,000 residents. The design and layout of the concept was to be a complete breakaway from the conventional housing developments of the time and architectural and quality controls were to be rigidly enforced. Specific covenants were to apply on all properties to maintain standards. Provision had been made for four primary schools, two colleges, kindergartens, community centres, churches, sportsfields, playgrounds and open space recreational areas. A huge shopping complex covering more than10,000 sq m (100,000 sq ft.) was included along with motels, a hotel a tavern and a cinema. 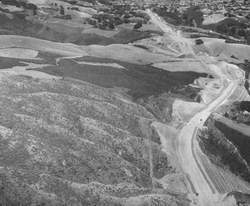 Building sections and road layouts had all been designed to ensure that all sections were drive-on and there were miles of connecting walkways between streets. Eight acres in every 20 acres was to be retained for passive and active reserves. Hundreds of thousands of trees and shrubs were to have been planted. A large golf course of international standards and 'country club' features was to be prominent feature of the development. This was to be situated just to the east of Grenada Village. A proposed railway station with adjacent parking was to be established at Glenside. Unfortunately, the late 1970's saw a substantial downturn for new housing requirements in Wellington. The project, being of such a massive scale, had to be economically successful from the start and because of the bleak outlook, the developers decided to place a halt on all further proceedings. The already constructed homes in Grenada Village had a two-railed white fence erected around a defined perimeter and were literally separated from all the land to the north. Parts of this fence can still be seen today. 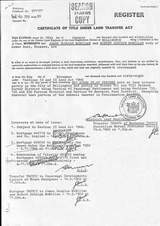 In 1981 Grenada Estates sold the land in the north-eastern section for lifestyle blocks. 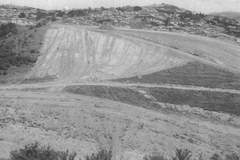 The balance of the Grenada hill country, being surplus to their housing needs, was sold to Lincolnshire Farms. This land was added to neighbouring land previously purchased by Lincolnshire Farms to make up a total area of 840 acres (340 hectares). 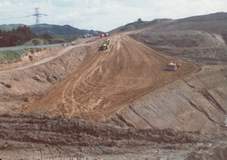 In the mid 1980's, building recommenced within Grenada Village on the remaining sections not already developed and some new roads were created. While the land north of Grenada Village still remains as farmland, it is Lincolnshire Farms intention to resurrect part of the original concept and to begin developing a new housing area to the north of Grenada Village. This will occur when they have completed their development of Churton Park, although this is still a few years away yet.